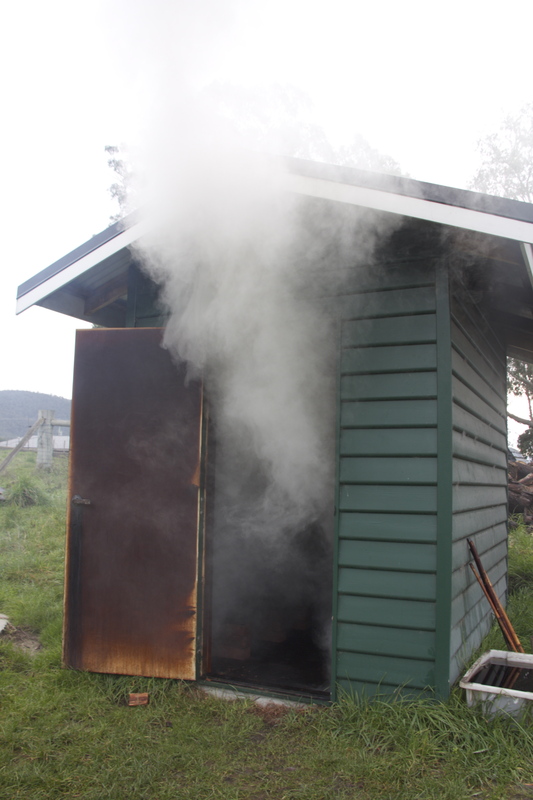 Just before my return trip to Tasmania, I decided that I really wanted to do one of Tassie’s famous cooking courses. I did some last-minute research to try and find a class that suited my interests and my dates, and was a little bit disappointed that I couldn’t find a class for the dates I was going. 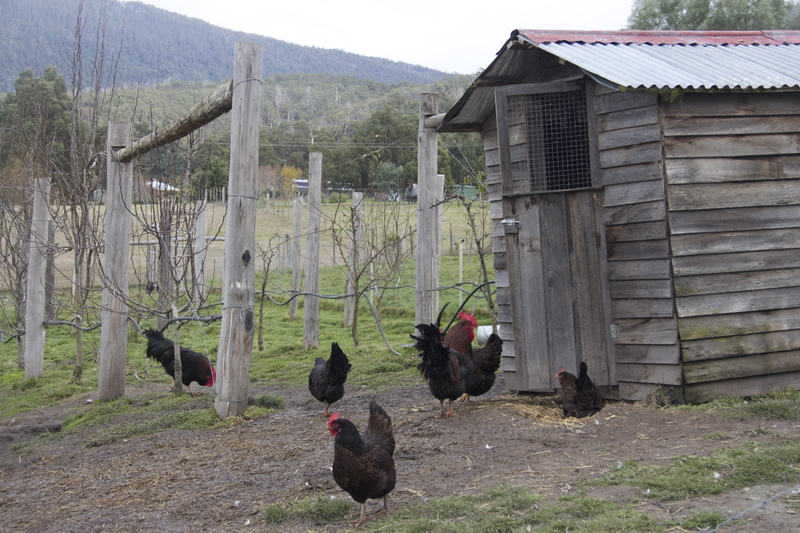 And then I stumbled upon a blog post that talked about the Agrarian Kitchen and, after looking into it, realized that there was a class offered during the time I’d be in Tassie. I booked the course right away, not entirely sure what I was in for but definitely excited to check it out. The course itself was more expensive than I would have liked, but the rave reviews all said that the price was justified by the experience, and they were definitely not wrong. 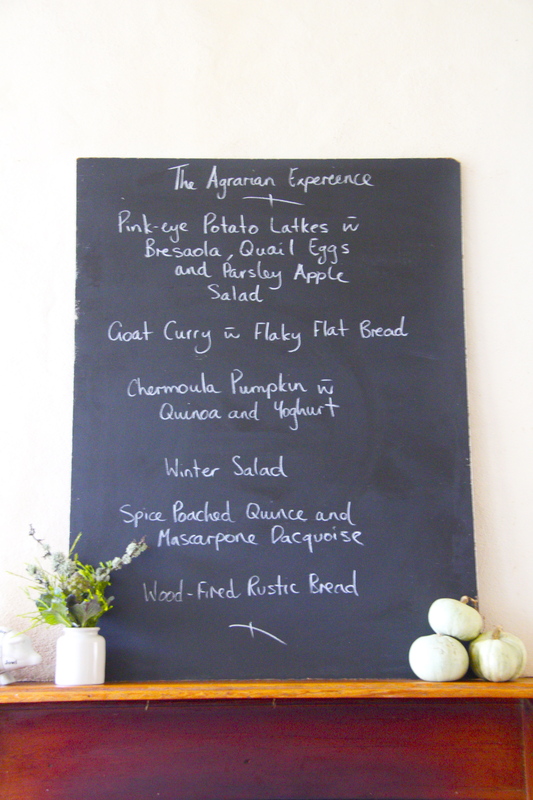 The course that I did was the Agrarian Experience, whose winter session ran on July 1st. I rented a car and headed out early in the morning, but unfortunately didn’t rent a GPS and got myself painfully lost. I made it to the class half an hour late, but was welcomed all the same and was thrown right into the first activity, which was bread making. We were taught the proper way to knead and throw the dough in order to get the elasticity just right, then popped the dough into a covered bowl and let it settle for several hours. 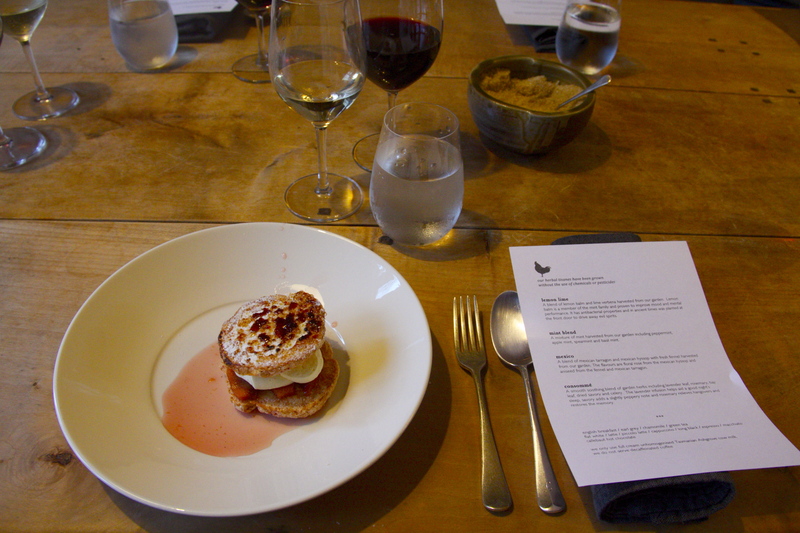 Our menu was impressive, and the names of the dishes themselves were enough to get our mouths watering. The dishes on the menu for the day were: pink-eye potato latkes with bresaola, quail eggs, and a parsley apple salad, goat curry with flaky flat bread, chermoula pumpkin with quinoa and yoghurt, a winter salad, spice poached quince and mascarpone dacoise, and of course the wood-fired rustic bread. After we prepared our dough we were given a set of rain boots and a basket with a set of clippers, then set out into the yard for a tour of the farm and to collect some of our goodies for the day. The Agrarian Kitchen farms almost all of the fresh foods that we would be using for our dishes, depending on what was in season. 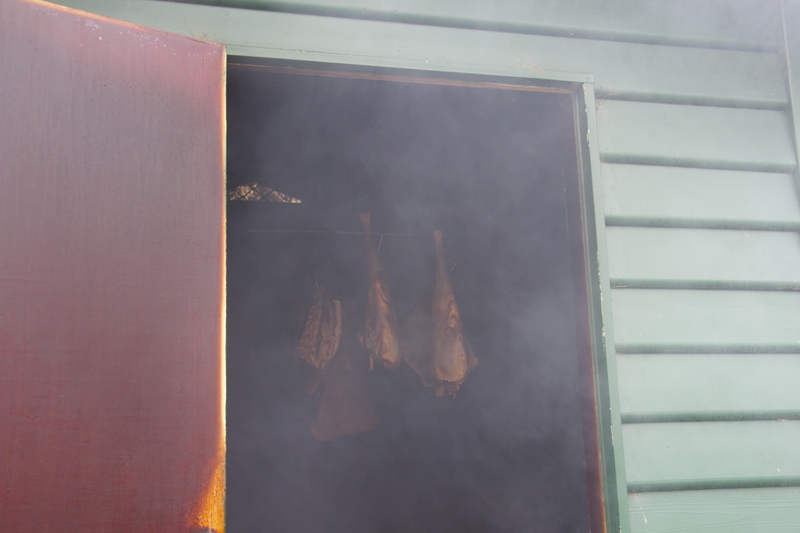 We were shown the smokehouse first, and had all of the smoking techniques explained in detail. The farm raises their own animals for smoking, and built their smokehouse specifically for the dry smoking of their meats and cheeses. 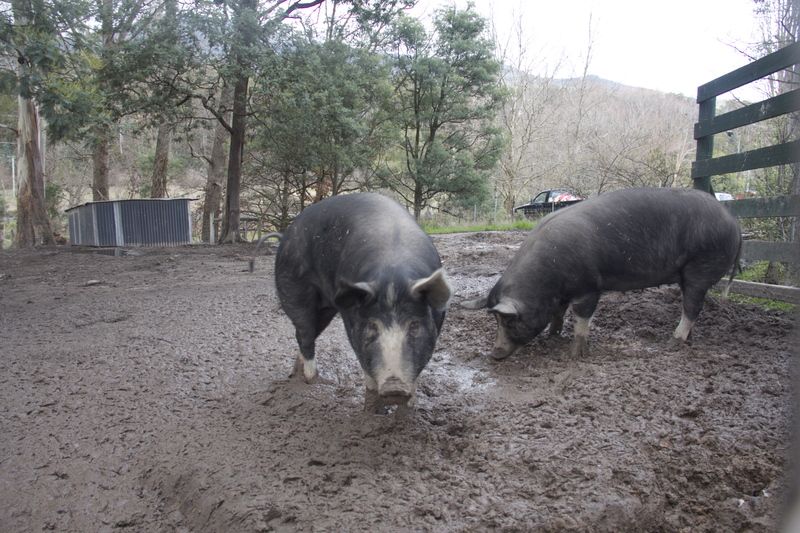 We toured the pens of the animals next, seeing the pigs and chickens that they kept on-site. There were two to six or so pigs per enclosure, with plenty of space to root around and explore. The farm specifically plans out which animals are meant to live where, and change up the enclosures frequently, with the aim of accomplishing maximum soil fertility through the use of natural means. 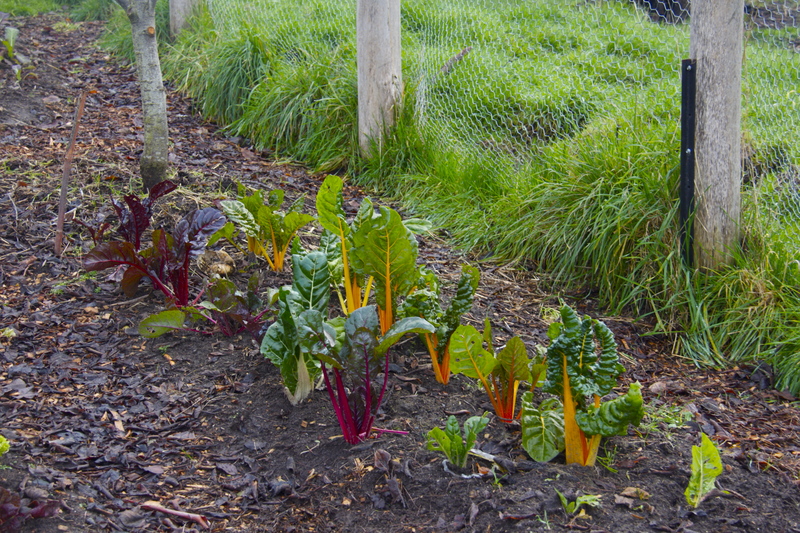 In addition to having flexible and impermanent enclosures for their animals to help naturally replenish soil fertility, the farm also uses horse manure from nearby farms, “green manure” (dead plants laid out un-composted as a top layer and allowed to decompose naturally), and compost to organically add to the quality of the soil. 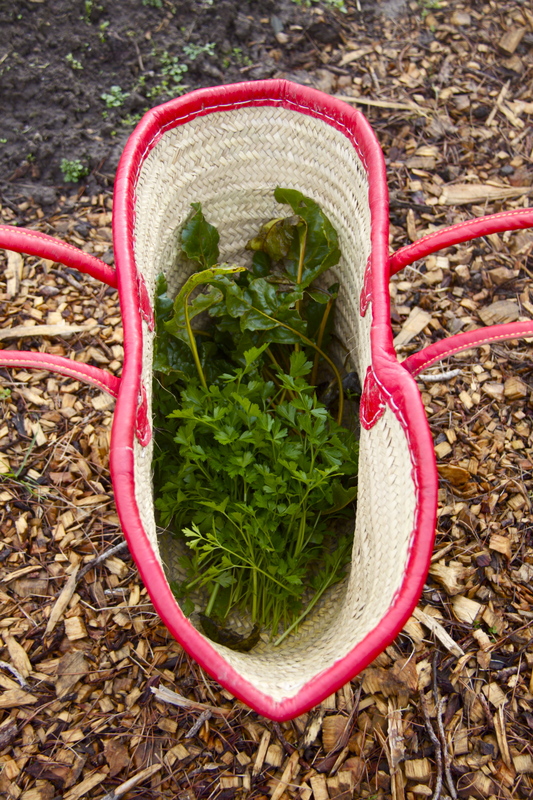 During our mini-tour of the farm, we hand-picked some of the ingredients we would be using, including carrots, radishes, coriander, celeriac plants, cabbage and parsley. We headed back inside with our food and reassembled, ready to start cooking our main courses. Our group broke the menu down into different dishes that we’d be in charge of, and I was primarily in charge of the dessert. We were given a recipe book with all of the recipes and shown as a group the major techniques involved with each recipe so that we would be capable of cooking all of them on our own. When a group finished with one dish they moved on and helped with the preparation of another until all the groups had finished and the meal was ready to eat. 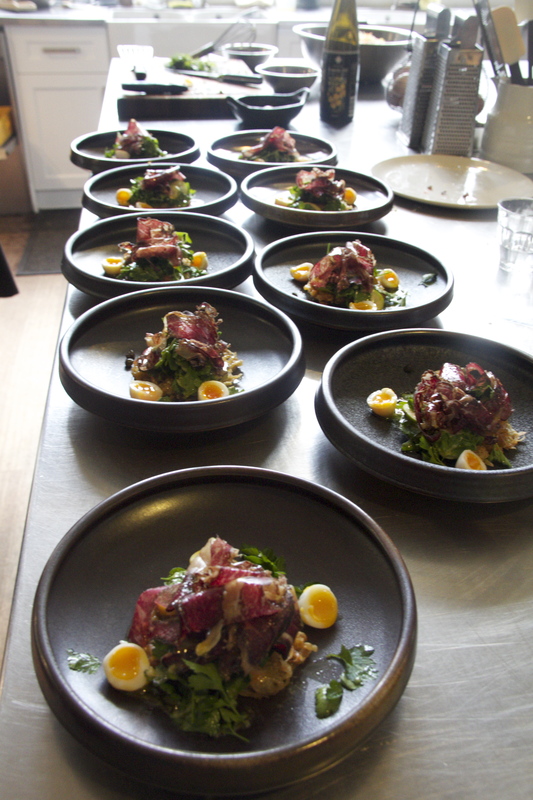 We began with the pink-eye potato latkes, which were topped with a delicious home-cured meat and served with quail eggs and a parsley-apple salad, served with a glass of white wine. About twenty minutes later we were back in the kitchen, putting the finishing touches on the main dishes and the sides, serving them up and bringing them to the main table. 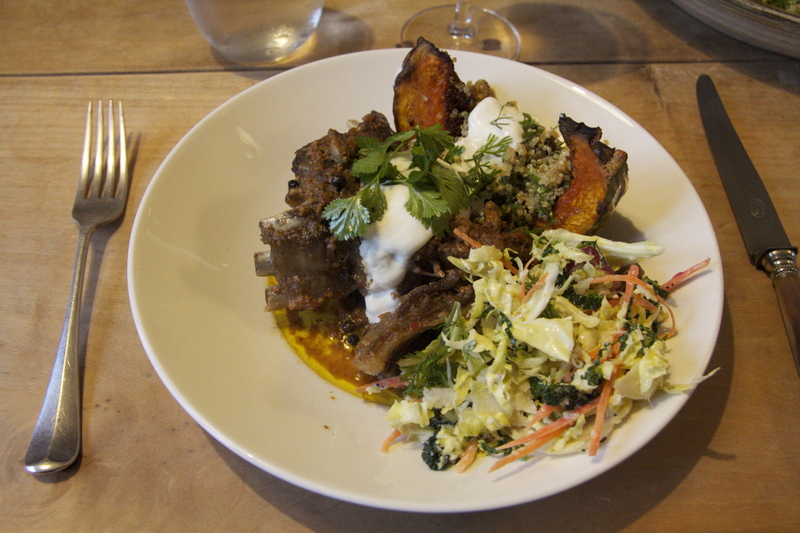 The goat curry, pumpkin and quinoa, and the winter salad were served up in a group of three, and comprised the main meal. Every single dish was fantastic, satisfying, well-balanced, and served with a glass of red wine that was generously topped-up at every opportunity. When the main meal was over we assembled our desserts and put in an order for tea or coffee. 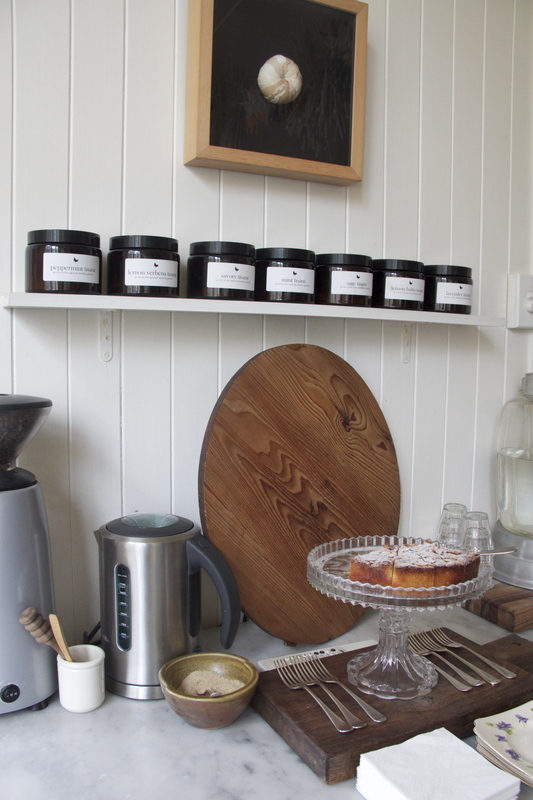 The Agrarian Kitchen makes most of their herbal teas on-site, and come up with unique, fresh blends that were exciting to taste. The finishing touches on our desserts involved powdered sugar and a blowtorch, which seemed a little unorthodox but was fun to play with all the same. Unfortunately the day had to come to an end, but we were sent home with full stomachs, an apron, and our loaves of bread, which we wood-fired while dinner was cooking. 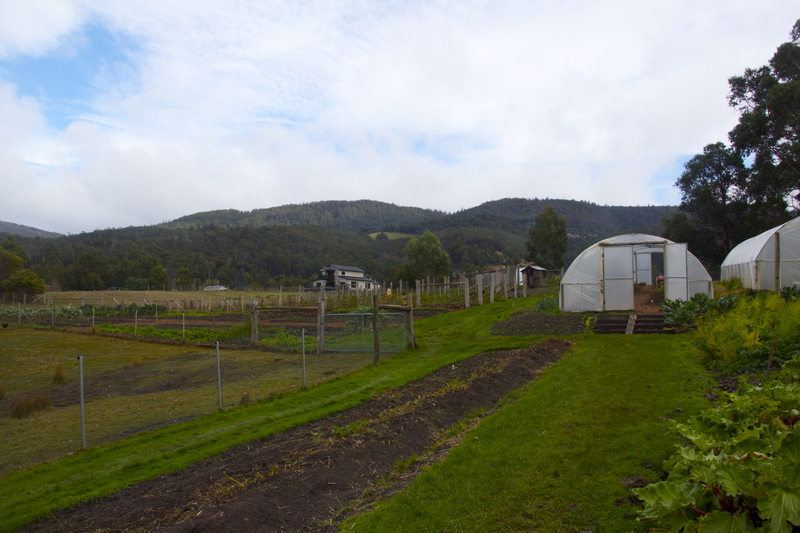 Overall the experience was absolutely amazing, and highly recommended to anyone with a passion for cooking, sustainability, and getting a truly authentic Tassie foodie experience. Value for Money: Average. 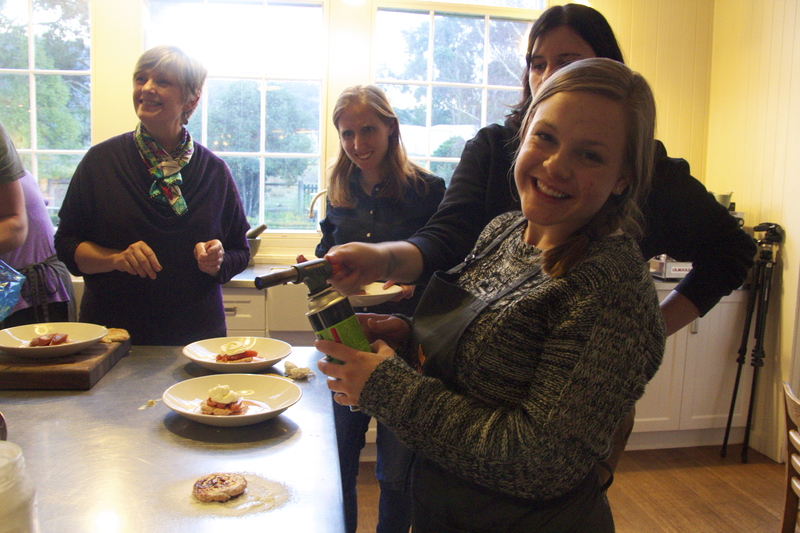 $400 is a lot to pay for a cooking class, no matter how amazing of an experience it was. Suitable for: Adults with disposable income, cooking skills, interest in local/sustainable agriculture and/or gourmet foodies. Recommended: If you have the money I would highly recommend it. Best for adults with some technical cooking skills. Looks like a fabulous experience! Any plans for the next bucket list item? It was awesome! I’ve just checked “visit Singapore” off my list, and my next one is to explore Halong Bay in Vietnam. I’ll probably also be doing a cooking class there that I’m going to write about, then exploring Angkor Wat in Cambodia! Thanks for commenting! Oh we are currently considering a bike tour in Vietnam and Cambodia! That’s wonderful that you are going.